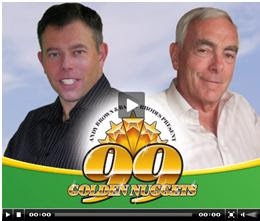 A year ago, my good friend Andy Brown, of GolfSwingSecretsRevealed.com, and I launched a 75-minute compact disk, ‘99 Golden Nuggets to Demystifying the Rules of Golf’, containing 11 chapters of tips on how to avoid penalties and save strokes on the golf course. The following are shortened versions of the 9 nuggets that every player should use as a check list before they even commence their round. Many of them are self-evident but I guarantee that the majority of golfers will be caught out by at least one of them during 2010. Arrive at the course well before your starting time. The penalty for not being on the1st tee at your allotted tee time is disqualification (Rule 6-1). Check that your competition score card date has your name and the date on it and enter your correct handicap. Ensure that you know the exact format of the competition that you are about to play in (e.g. strokes, par or Stableford) and which colour tees you are to play from. Read the Local Rules on the back of the score card and on the course notice board. This is so important that I will do a separate blog on it next week. Ensure that you carry a current Rules of Golf book in your golf bag. Rule 6-1 states that it’s up to each individual player to know the Rules, and being able to reference the book during a round could assist you to make a right decision out on the course. Put recognisable personal identification marks on all your golf balls. Knowing that you are playing a Titleist 1 Pro V1 is not good enough, as so are thousands of other golfers. 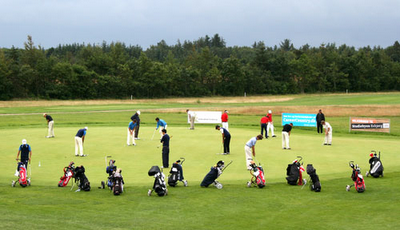 Check that you have enough golf balls to complete your round - even the best players lose balls! If you arrive early enough you may practice anywhere on the course for a match play competition, but not for a stroke play competition. However, this does not prevent you from using the practice putting green or driving range. You may also practice putting, or chipping, on or near the first teeing ground. Now you’re ready to start your round. We still have some copies of ‘99 Golden Nuggets to Demystifying the Rules of Golf’. If you would like a copy at the special price of $27 (or $17 as MP3 files), plus bonus transcription, click on this link.